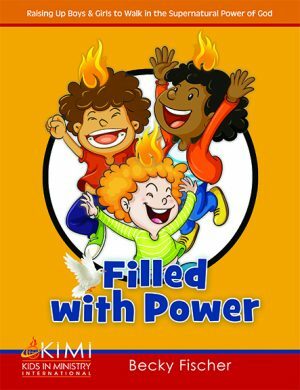 One of the most important things that make KIMI Curriculums different from others is that our materials are written specifically for Spirit-filled churches, i.e. those who believe in the baptism in the Holy Spirit, speaking in tongues, hearing God’s voice, healing, that the gifts of the Spirit are for today, and who believe in walking in the supernatural lifestyle of God found in Scripture. In our experience, even denominations who are either Pentecostal or Charismatic hesitate to approach these subjects in many cases. This is because they have become more seeker sensitive, meaning they do not want to scare new believers or non-believers from their services through the unfamiliar moving of the gifts of the Spirit. While there may be merit to this thinking in some cases, we believe there are parents and church leaders who are hungry for material that goes beyond the basic Bible stories and teaches children solid Bible doctrine. We believe we are filling a very important void in the world of church curriculum ideas. 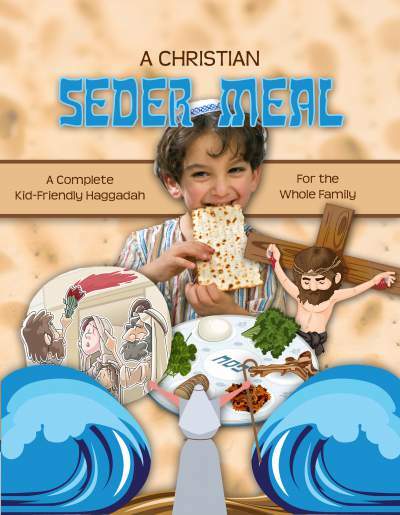 Should We Feed Our Kids Spiritual Milk or Meat? Secondly, our curriculums deliberately address the basic foundational doctrines of the Bible, what we believe is the “meat” of God’s Word, rather than keeping children on the “milk” (Bible stories) for the first twelve years of their lives. (See “What to Teach Children and Why?”) How old is a baby in the natural when he stops drinking nothing but milk, but goes on to solid food? It’s generally within the first year of life, yet somehow in the Church, we have decided kids are only capable of handling basic Bible stories over and over again until they are twelve years old. We believe our kids are ready and eager to eat the meat of the Word. When broken down into small enough, bite-sized pieces, and filled with creative, simple to understand visuals and object lessons, such as those in our lessons, they can understand any doctrine in the Bible that adults can. 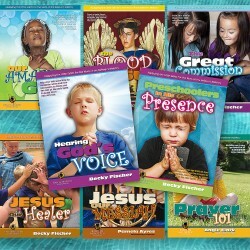 Finally, our curriculums literally “equip the little saints for the work of the ministry” (Ephesians 4:11). 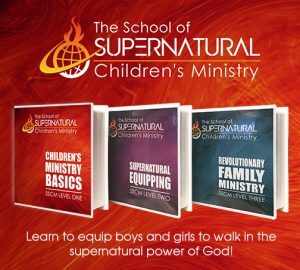 (See “True Mentoring and Discipling of Children.“) By the time you diligently, and systematically go through our curriculums, your children will more than likely be saved, filled with the Holy Spirit, speak in tongues, will be intercessors and prayers warriors, worshipers, they will know how to heal the sick, hear God’s voice, be led by the Spirit, and much more. In other words, as you dedicate yourself to teaching from these topics, over a period of time your children will be functioning soldiers in the army of God, and not just observers on the sidelines of Christianity! How do I order curriculum. Can we set up an account for our ministry? You order by looking up the item you want and adding it to your cart. You must have a credit card. Sorry we do not set up accounts. Hello, I am interested in purchasing some products to build our youth. 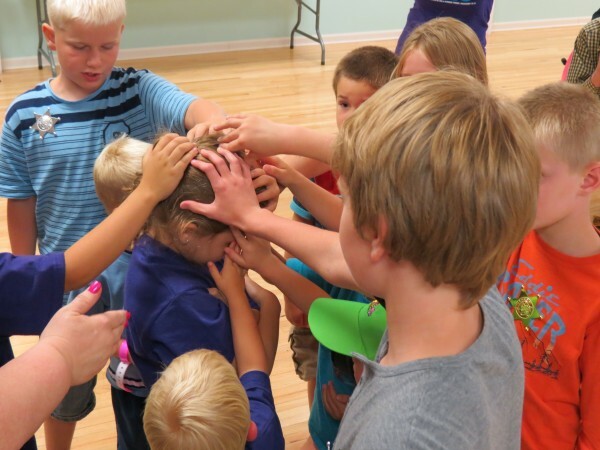 We are a small house ministry with children ranging in age from 1-12 being the oldest. We are spirit filled and many of our children speak in tongues as well. However, more of the adults need training and we need some product for the children. Can you please let me know what you recommend. Thank you. Please check out curriculum section. We recommend all of them beginning with Our Amazing God. Good morning. I just have a general question. I noticed that the babies pre-schooler’s curriculum can span a 2 year period. Is that the same for the 6-11 curriculum? The other curriculum for 6 to 12 year olds are based on 13-17 weeks. Once you place your order, it will ask you where you want them sent. Fill out the correct address. We no longer have catalogs that are current. Sorry for you inconvenience. It is very true that the KIMI Curriculums are different! My husband and I were missionaries overseas for 7 years and have been pastors for 9 years now in the USA. We have been trained in the Word of Faith for years and have used few kids curriculums here and there and made our own materials as we were not satisfied with them. But then, we got a hold of the KIMI Curriculums, we decided to purchase them and have seen a great change in our ministry to kids, teens and even adults with them. We started training our kids in the church and our own children with the Curriculum “How to Hear God’s Voice.” As we were following step by step what was written on it, we saw our kids starting to recognize the Voice of God in the first two lessons. When we were praying with the kids, the Lord gave them pictures in their spirit of people in the congregation who needed prayer. A kid got to see the face of one of the kids who had not come to church for some time and who needed prayer. In just few lessons the kids were more aware how to recognize the voice of the Lord in their spirits, and started making better decisions even when Mom and Dad were not with them. Also, they were more aware of God’s presence, so they understood they didn’t need to be led by their own flesh, but by the Spirit and obey the Lord in spite of their feelings. They started to be embolded to pray and to share Jesus with others. We highly recommend all the Curriculums. They are a heavenly tool to disciple our kids to be like Jesus and to do His great works! Is there a visual kit for Kingdom of light? Thanks for asking, Tina. We may be phasing out of the visual kits for several reasons, so this was the first curriculum we didn’t create one. However, all of the items you need to purchase or make are listed in the last few pages in detail including the links to the websites and names of vendors. Check out the curriculum if you have it and tell me what you what you think.